Eight start-ups, focusing on smart transport solutions, make up the first cohort of companies joining the new Intelligent Mobility (IM) Accelerator programme, based in Milton Keynes. The companies, who are all looking to solve problems within the transport sector, will now benefit from a unique six-month support programme that will help them accelerate their growth plans and provide the transport solutions of tomorrow. From December, they will receive office space, coaching, mentoring, acceleration services, and access to the networks of the programme partners – Transport Systems Catapult (TSC), and Wayra UK, part of Telefónica Open Future_. Those networks include investors, government agencies, customers, large corporates and universities, as well as opportunities to work with the TSC’s world-leading capability team, featuring specialists in Systems Engineering, Data Science, AI and Modelling and Visualisation, and Telefónica’s Smart Steps initiative. The programme has also attracted the sponsorship of global technology consultancy ThoughtWorks and national railway infrastructure operator Network Rail, who will both provide support to start-ups at the Accelerator, including mentoring, coaching, and access to their high-level expertise and networks. Alex Weedon, TSC Director of Commercial, said: “We are extremely excited to see the first cohort of start-ups arriving at our Innovation Centre to join the IM Accelerator. The UK has a long history of innovation and the quality of applicants we saw for the accelerator is proof positive that the spark is still alive and well today. 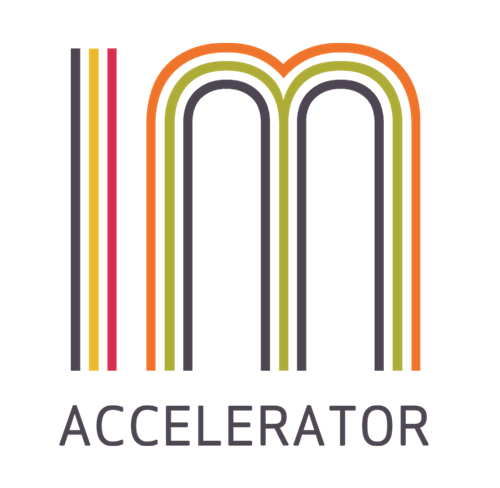 The IM Accelerator programme focuses on Intelligent Mobility, including areas such as Connected and Autonomous Vehicles, Connected Infrastructure, Customer Experience and Transport Data and Analysis. Its goal is to develop companies who will create solutions for the most pressing transport problems facing the world today, improving day-to-day life for millions of travellers while creating new UK-based industry leaders in a £900bn global transport systems market. The new programme is a partnership between Transport Systems Catapult and Wayra UK, the world-leading start-up accelerator that is part of Telefónica Open Future_. Since 2012, Wayra UK has supported more than 160 British and Irish start-ups in other industries, helping them raise approximately $150m in third-party funding. Transport Systems Catapult is the UK’s innovation centre for ‘Intelligent Mobility’ and the organisation behind the UK’s first public trial of an autonomous vehicle. Intelligent Mobility uses new and emerging technologies to create a smarter, greener, safer and more efficient movement of people and goods around the world. Intelligent Mobility will drive a radical overhaul of transport systems to redefine the future of transport. The UK is ideally positioned to take advantage and be at the forefront of a momentous new global market, which is conservatively forecast to treble in worth to £900 billion per annum by 2025. As a global leader in Agile software delivery, ThoughtWorks has been helping organisations transform into digital businesses for over 25 years. To address the rise of digital ecosystems, we have created ThoughtWorks Ventures to help organisations take global megatrends from theory to strategic implementation, using technology. Our goal is to advance social and economic growth on a global scale, by increasing cross-industry and country collaboration. As technology start-ups play a vital role in promoting large-scale positive change, we are on a mission to help inspirational tech start-ups increase their survival chances.